Why did elementary school librarian Barbara Johnson and her students start tweeting, facebooking, live streaming, making movies, screencasting, creating websites, digital backpacking, and sharing her work with parents, teachers, administrators, and the Board of Education? Because she wanted stakeholders to continually be reminded that school libraries make a tremendous difference in the way children learn in school. When children are invited to ask their own questions, have the resources and the skills to find answers to their questions, and learn how to create purposeful presentations to share with a relevant audience, they become invested in their learning, and great things happen. 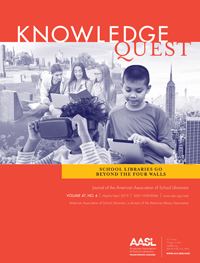 Digital Tools and Students: Who is doing the work to advocate for the library? The children are doing the work! Barbara turns the digital tools over to the children to share the great learning that happens when there is a full time librarian and plenty of resources to support independent learning. Their favorites are Screencast-O-Matic, Animoto, and iMovie. Screencast-O-Matic: Barbara invites children to create “How To” videos for teachers, administrators, parents, and other students about how to use online applications using this screen recording tool. She shares the links through emails and social media. See examples here! Animoto and iMovie: Children use Animoto and iMovie to create digital stories about the projects they are working on in the library. Parents, teachers, administrators, and the Board of Education love these video clips! Voki-Students also use Voki to share what they learned in the library. Social Media: Sharing throughout the day creates a story within itself, giving parents, grandparents, and other stakeholders the opportunity to see, “like”, “retweet”, and comment on what their children are learning in the library. 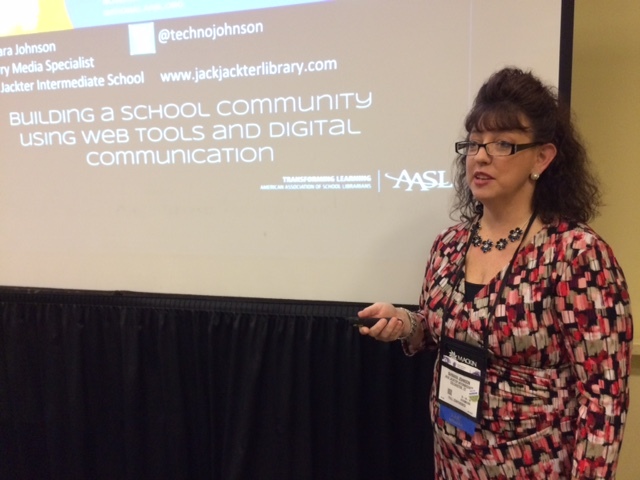 You can follow Barbara at @technojohnson and on the JJIS facebook page. Website: Barbara created an incredibly informative website that acts as a toolkit for relevant research projects. This website is perfect for children, parents, teachers, and other school librarians to use when working on relevant research projects. Check it out, bookmark it, and share it! Livestream: Barbara uses Livestream for all events so that parents, grandparents, and other schools in the district can virtually be a part of the wonderful things the children are doing in the library. Yes! It is! 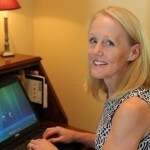 Barbara regularly checks the results page on her Weebly Website to track how many people visit her site. She also uses the SumAll app to track Twitter followers, and she checks the views on Livestream and Youtube. But here is the best news: The district goals of the Colchester Public Schools now reflect everything she has been advocating for over the years. 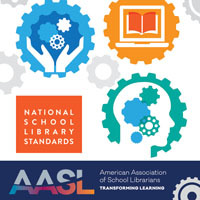 Take a look at the strategic goals, and you will see how these goals will be achieved with the help of a school librarian. Barbara Johnson is the school librarian at Jack Jackter Intermediate School. She is on the Board of Directors of CECA (Connecticut Educators Computer Association), and is a member of CASL and CLAB. 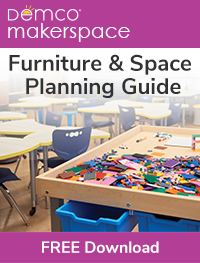 Your blog about Barbara’s session is so useful with the detailed information about how she is using and teaching a variety of communication tools and strategies to promote the school library program.